My time in the U.S. is drawing to a close, but it’s been great to be back and to spend time with family and friends. I’ve enjoyed quiet morning runs, shady bike rides, visits to the theater, and time to recover and regroup after an extremely stressful year. I hope you’ve also had a chance to take some time off and, maybe, do some travel. Quite a few of you have already posted (adorable) first-day-of-school photos to the Facebook group, so clearly summer is wrapping up. We’ve still got a few weeks before school starts at our house, but keep those photos coming! I love seeing all those first-day outfits. Speaking of travels and sewing, we stopped in to the Laura Ingalls Wilder Museum on our way to visit my sister a couple of weeks ago and I snapped this photo. So interesting to see how mother-of-pearl buttons are stamped out of a shell isn’t it? 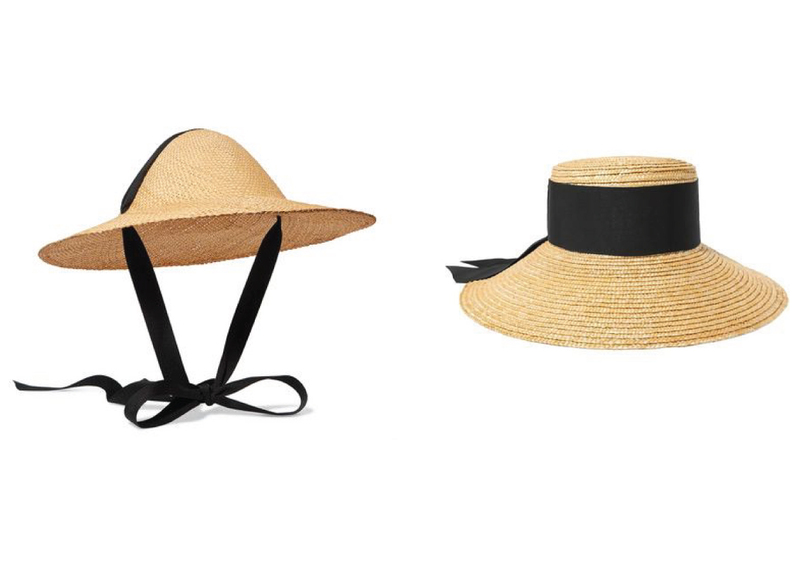 I couldn’t survive summer without a hat, so I’m always on the lookout for cute ones. After telling S I want to find a conical rice hat I stumbled across the one below, left, which is pretty close. And the black ribbon is quite charming, isn’t it? 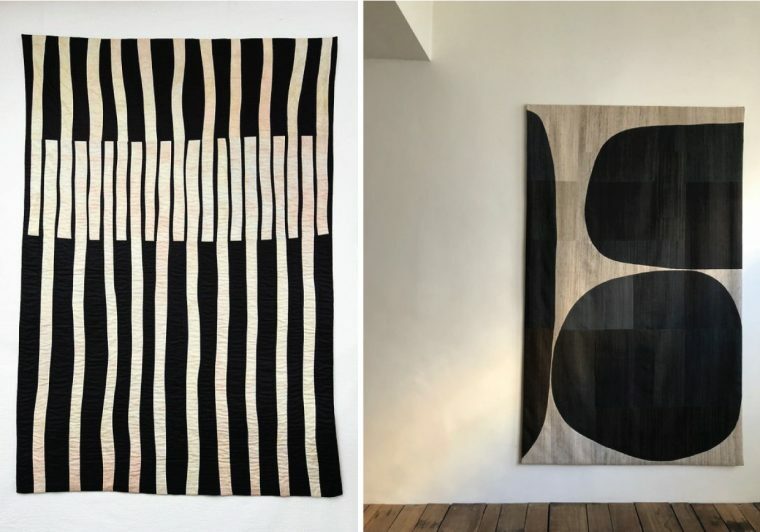 Love these black and white quilts. 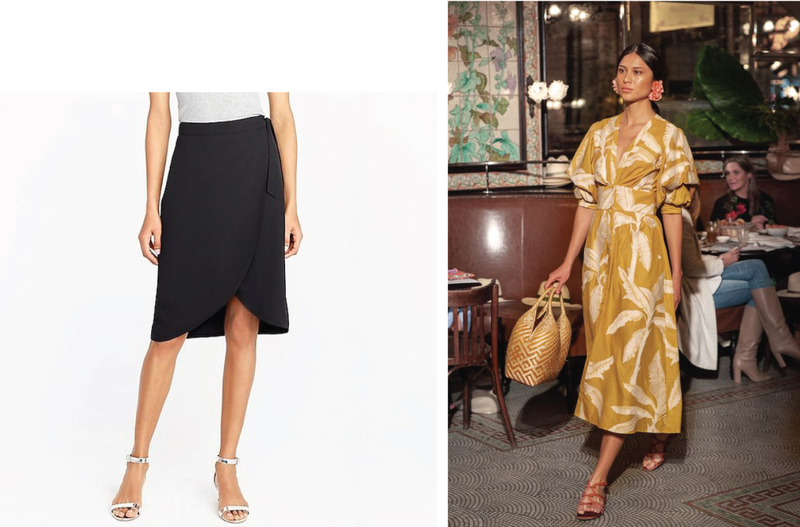 Here are two ideas for our Liesl + Co. Terrace Dress. 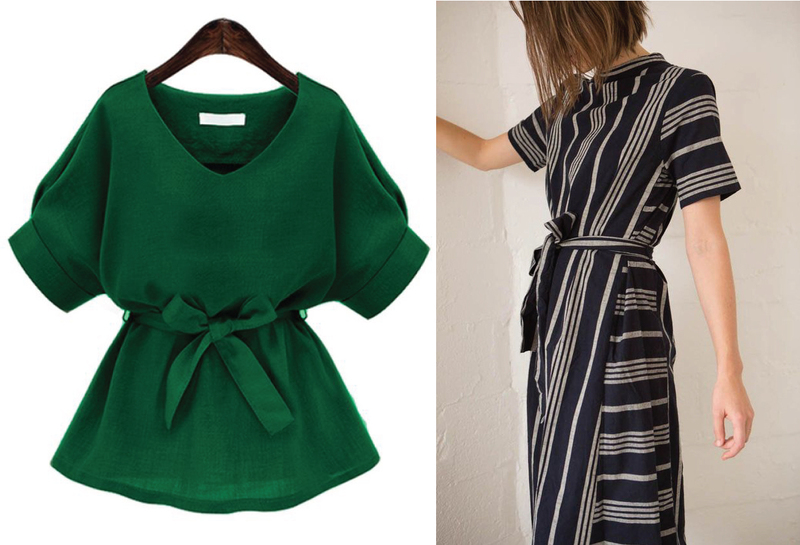 This striped linen from fabric.com would be perfect for the dress on the right, wouldn’t it? How fun are these textures? Amusing photos of children having sunscreen applied. My sister is having a baby in a few weeks. Something tells me she and her husband are already tired of the questions. Here’s a great approach to personal style that we can all follow. 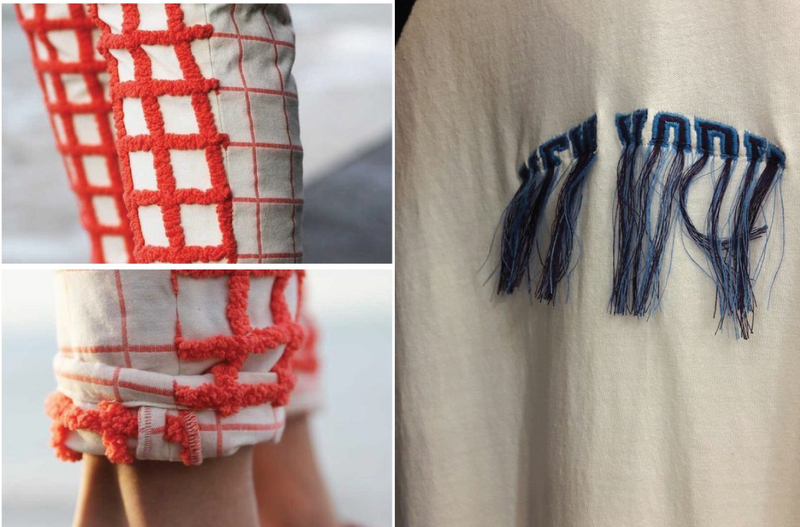 Rather than buy what everyone else has, sew your own timeless, lasting staples that express your own style. What are your thoughts about making vs. being creative? Here’s a thought-provoking piece on the topic. And speaking of creativity, this was my favorite read on the topic this week. How cool that you can reverse the yellowing on vintage plastic sewing machines! How do you think we should handle the question of size? Would you rather be a size H than a 14, for example? Have a great weekend, and we’ll be back next week with some extra-special sewing tutorials and a few other treats. See you then! Thank you for the brilliant tip on de-yellowing plastics – great find! Thank you so much for sharing my post on how to rid your beautiful vintage machine of the awful yellowing plastic! I made the bubbles for the boba tea this afternoon following the recipe you posted and they turned out perfectly! Since we are just back from summer in Michigan and stocked up on maple syrup, I decided to soak the cooked bubbles in that instead of honey (maple sugar is a favorite of mine in Irish breakfast tea…with a splash of cream, of course) Anyway, I’m completely thrilled with the result! Thank you for the link! I’m so happy to hear it, Jennifer! I normally use honey because it’s very easy for me to find high quality, locally made honey and I have to buy imported maple syrup, but, having grown up in Michigan, I love maple syrup and have been buying it and using it a lot more lately. Thank you, Leisl, for sharing my recipe! Have a lovely trip back here to Spain.